Inspired by blues legends like T-Bone Walker, Charlie Patton and Big Joe Turner, Duke's guitar work has seamlessly spanned the worlds of jazz, blues, and swing since he founded the renowned big band, Roomful of Blues, in 1967. Since 1980, Duke has recorded over a dozen acclaimed solo albums and toured the world both with his own band and as a featured accompanist. Called one of the great players by the legendary B.B. King, Duke's upbeat live performance, accented by a swinging horn section, is a tasteful display of a wide variety of blues styles. Duke had his first band in high school - he was born in Woonsocket, Rhode Island - and he was fascinated from the beginning by the ways in which jazz, swing, and the blues were linked. In 1967, he formed Roomful of Blues, and the band was tight enough and tough enough to accompany two of its heroes, Big Joe Turner and Eddie Cleanhead Vinson on record and in live appearances. 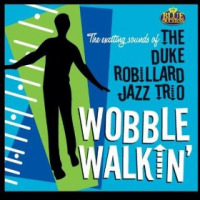 Always ahead of his time, Duke's first band pre-dated the renewed interest in jump blues by more than a decade - and almost 20 years later, in 1986, when he recorded with jazz sax master Scott Hamilton, he recorded a collection of classic big band tunes from the '30s and '40s, thus skillfully pre-dating the neo-Swing craze of the mid '90s. 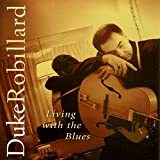 Roomful of Blues - which still continues, a quarter of a century later - gave Duke his first exposure to a wide public, and when he left after a dozen years, he played briefly with rockabilly king Robert Gordon, then cut two albums with the Legendary Blues Band (a sterling collection of former members of Muddy Waters' band). He led his own band until 1990, and then replaced Jimmy Vaughan in the Fabulous Thunderbirds. Petersen was interested; Virgin gave the go-ahead, and the resulting album, “Duke's Blues,” earned rave reviews. It was so successful, in fact, that Virgin soon licensed the record from Stony Plain and released it around the world. In the years since his relationship with Stony Plain, he has been astonishingly fruitful. As a solo artist, he has released ten records with the label - including his all-blues outing “Living With the Blues,” released in early 2002. Just as remarkable have been the projects he has produced (and played on) for Stony Plain, including two albums with the late Jimmy Witherspoon, two with Kansas City piano king Jay McShann, comeback CDs for Billy Boy Arnold and Rosco Gordon, a swinging confection with the Canadian band The Rockin' Highliners, and a superb album of guitar duets with the jazz legend Herb Ellis. In 2004 Duke released “Blue Mood; The Songs of T-Bone Walker,” paying homage to guitar great T-Bone Walker with this collection of swing, big band and blues songs. It takes a lot of guts, ability and confidence to pull off a tribute like this but Duke is more than qualified and the result is a fantastic record. As if this growing catalog was not enough, he has found time to share studio gigs with Bob Dylan, Ruth Brown, the late Johnny Adams, John Hammond, Pinetop Perkins, and Ronnie Earl, among many others. He now has his own 24- track studio in his home, and he has become deeply involved in graphic design and photography as well as record production. Duke Robillard is a man in command of a full range of creative talents - unique in the blues, and rare in the music industry as a whole. He is, in fact, a complete artist at the height of his power. All About Jazz musician pages are maintained by musicians, publicists and trusted members like you. Interested? Tell us why you would like to improve the Duke Robillard musician page.